We had a a few hours left to spend in Cleveland before we headed back across the border and home to Toronto. We had a little bit of time to spare before going for dinner, so we walked around the city for a bit. We got to talking with a few locals. 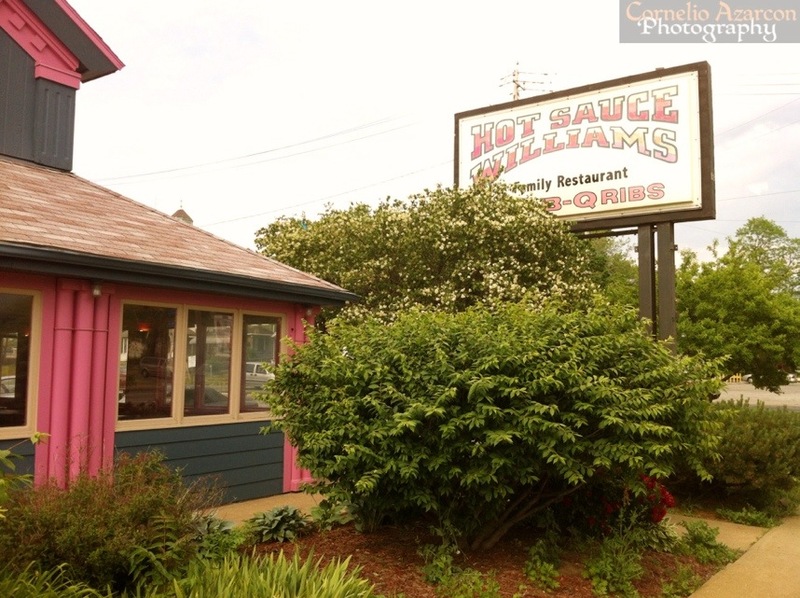 And one in particular suggested that we try Hot Sauce Williams, which we said was our plan. It made us confident that this was going to be a great meal, since we’ve heard some rave reviews about this joint. We arrived at the restaurant, it was somewhat quiet, which we thought was due to it being a Monday afternoon, the start of the week, and usually a slow day for most restaurants. It took us a bit of time to peruse the menu and place our order. The staff didn’t feel all that welcoming and friendly. It seemed as though they didn’t want to be there. My first thought was, why bother staying open on a Monday if you won’t give the same effort as the rest of the week? I ordered the pork shoulder sandwich ($6.00), which was impossible to eat a sandwich. The bottom slice of bread was soaked with the barbecue sauce, so had to it with a fork. I didn’t mind that part…the flavours were great! The pork shoulder was prepared in a smoker, and had a mild smokey flavour and scent to it. 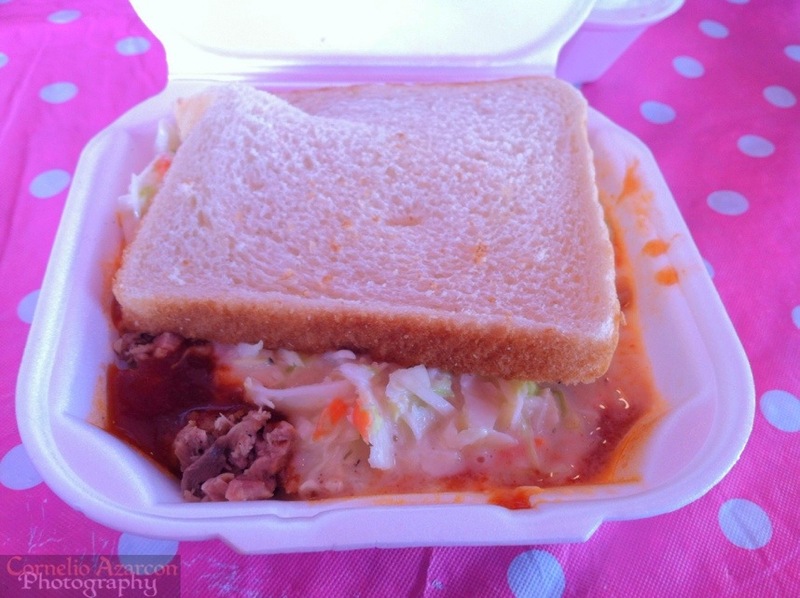 The slaw was creamy and cut through the slight sweetness of the barbecue sauce. Probably shouldn’t be a sandwich though. Better if served on a plate with some sides. 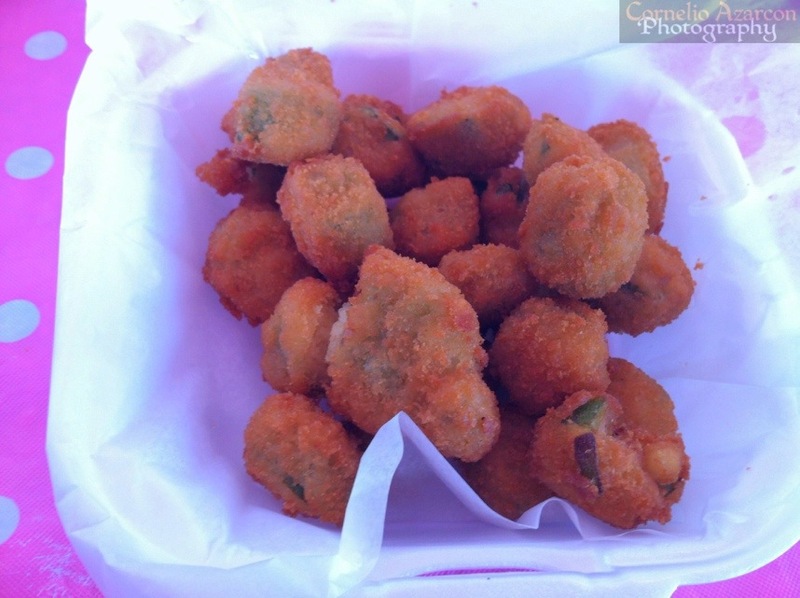 I also ordered a side of okra ($2.50), which was deep fried. It had a nice crunch to it, but was lacking some sauce. With a name like Hot Sauce Williams, I expected to be served some homemade hot sauce with the dish, but nothing was provided. I felt that the hot sauce would’ve kicked the dish up a notch. 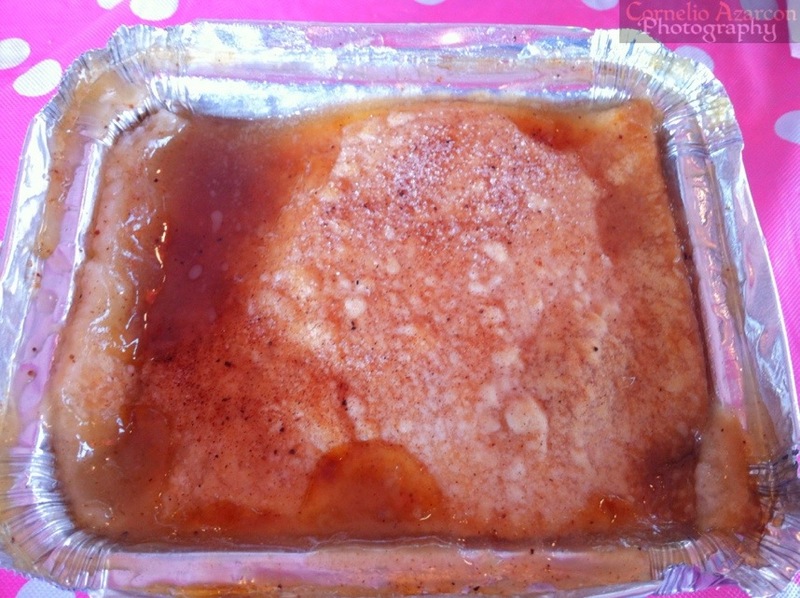 For dessert, I ordered the peach cobbler ($3.95), which wasn’t all that exciting a dish. It kind of fell flat for me. Overall, not a very exciting meal. Felt quite disappointed especially after all the good things I’ve been told. I really hope it was just a weird off night for them, but one that I think shouldn’t have happened in the first place. Had a great time visiting restaurants and trying some of what Cleveland has to offer. I did not want to leave with my spirits dampened by the dinner experience, but I guess I’ll just have to come back to Cleveland next time.